Select from our extensive wine list. Every great conversation starts with great food. Everything prepared by our chefs is meant to be approachable and conversational. Every moment of our day is dedicated to building up our community. Everyone is invited to share a meal with us. 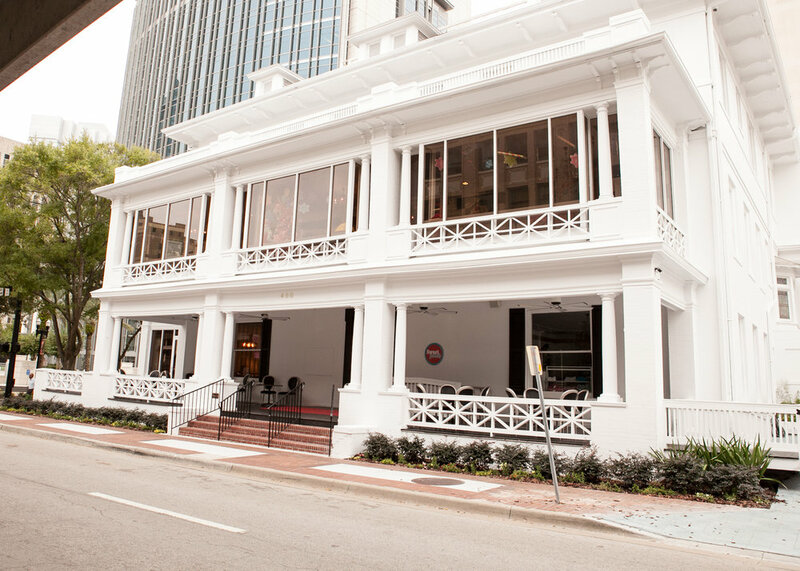 Our Jacksonville location is nestled on the 1st floor of the historic Seminole Club, a building that dates back to 1903. The notable location has hosted a number of well-known visitors including Presidents Teddy Roosevelt, Dwight Eisenhower and John F. Kennedy. It sat vacant for ten years until Sweet Pete’s and Marcus Lemonis renovated the property in 2014, after appearing on CNBC’s The Profit. We are proud to share this confectionary emporium of 23,000 sq. ft with our partners, Sweet Pete’s. Chef Roderick “Pete” Smith started the first food truck in Jax, Sweet Pete’s Catering (no relation to our candy partners upstairs!) Early on in his career he operated in San Marco at night, feeding guests coming out of Square One and industry folks getting off work late. He later helmed the kitchen’s at both JAX Diner and Mother’s Café. 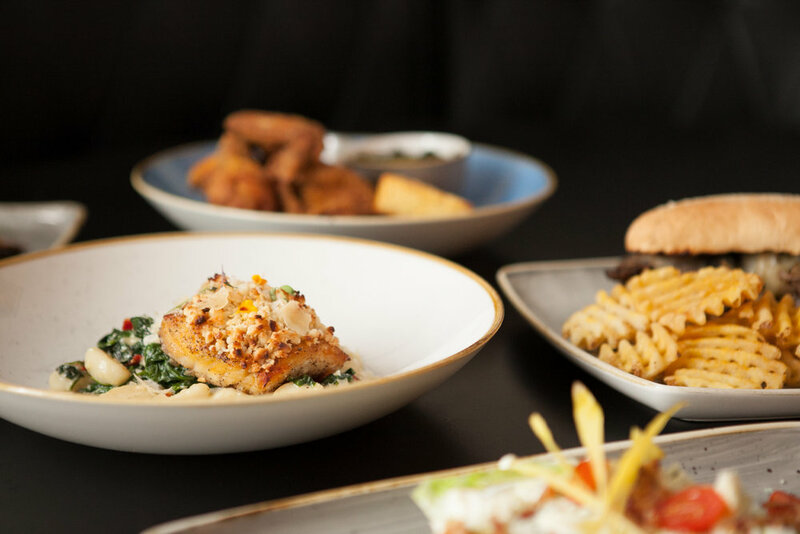 At JAX, Chef Roderick will deliver locally sourced meals designed to expand and delight the palate, marrying Southern know-how with upscale flair. Marcus Lemonis will handpick each exhibit for our rotating art gallery. Pieces selected from the work of artists in our thriving local arts scene will be hung in MLG Jacksonville. The Marcus Collection will rotate with new themes and complementing food and beverages. The net proceeds of each new exhibit will benefit a local charity.